This past Sunday at church, the minute for mission was about One Great Hour of Sharing. One of the organizations that this special offering, held at Easter-time, supports is Presbyterian Disaster Assistance. That immediately brought to mind a mission trip that our young adults group went on in March 2008 (back when we still were young adults....now there are younger adults, and we have a new name). 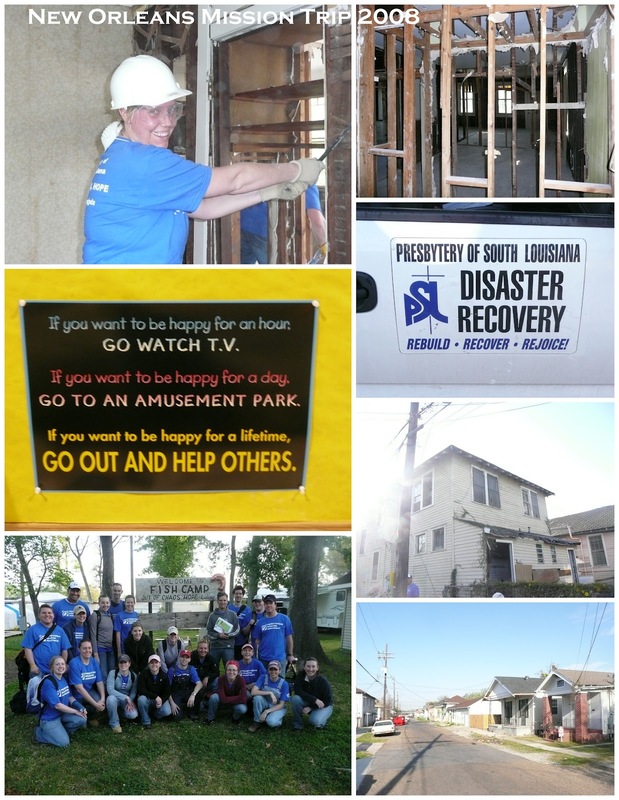 Two and a half years after Hurricane Katrina, and there was still a need for relief volunteers. I think this trip was the first time that I had done national disaster relief. This summer, when I go to Joplin, MO on the high school mission trip, will probably be my second time. That trip was the first and only time I've been to Louisiana. Meeting a volunteer named Seth who also grew up in Janesville, WI!